In part 1 of this series I talked about what it means to optimize your metabolism with the low carbohydrate approach to eating. There is a lot of science and research to support low carbohydrate ways of eating, which includes low carb diets, Paleo diets and Ketogenic diets. Today I want to talk about the Paleo diet, what it is and what it can do for your health, and why you may hear so much about it. In my Functional Medicine practice in Golden, Colorado, I am frequently recommending this way of eating to my women patients who consult with me for help with hormone imbalances and natural women’s health care. Diet plays a key part in how your body functions, and finding the right way of eating for you can make all the difference in how your hormones work. What is a Paleo type diet? A Paleo type is diet is based on what our pre-agricultural ancestors ate. You may also see it called an ancestral diet, a primal diet, a caveman diet, or the Paleolithic diet. Our society has ” only” grains for about 10,000 years when agriculture was introduced, while our previous ancestors were hunter-gatherers for about 2 million years. The premise is that we as a species are better adapted to a hunter gatherer style of eating. The Paleo diet was popularized by Dr. Loren Cordain, who basically founded the Paleo movement, and he is the author of “the Paleo Diet” and the “Paleo Answer”. Another reference book I recommend is the “Paleo Solution” by another popular author Robb Wolf. A Paleo diet will include and exclude certain foods. For example, dairy products and grains, including wheat and gluten, are excluded as they were not part of the original human diet. Even today, anthropologists can find modern hunter gatherer societies that eat an ancestral diet based on where they live, that are in better health than our modern, more urban people. This is a general list of categories included and excluded. 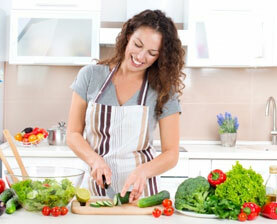 As you can see the main theme is that Paleo foods are whole, unprocessed foods. While in our modern society we will never be able to truly mimic a hunter gatherer lifestyle, these guidelines can get you close, and also closer to better health. Why a Paleo type diet? What are the benefits? Why do people choose a paleo diet? In my experience working with women and hormone health, it is usually an effort to create better health. Our Standard American Diet, SAD for short, is full of sugars, refined and processed foods, grains and bad fats. My women patients come to my Functional Medicine practice feeling tired, not sleeping well, stressed out, gaining weight and belly fat, and have unbalanced hormones. This can also lead to adrenal fatigue and depression. There is the general awareness that there must be a better way to eat, to feed and nourish your body. The excluded foods, especially grains, gluten and dairy, are famous for causing digestive problems, allergies, weight gain and bloating, blood sugar and mood disorders. And one of the benefits is that getting off of gluten, grains, sugar and dairy can really help improve your health, and the way you feel, quickly. Getting some blood testing done, such as a lipid panel that tests cholesterol and triglycerides, and A1C and fasting blood glucose to get a good baseline to show future improvement. If you have hormone imbalances, or adrenal fatigue you can get hormone testing for these issues, again to get a “before” baseline. Getting testing done can not only give you a baseline, but something to target for to improve your health. Weigh and measure yourself. And don’t rely on the scale only, many times inches lost means you are shrinking, and losing clothes sizes. Use a journal to chart your symptoms or health issues, and you can get a great before and after picture of your health. Be patient! this is not a “diet”, something you go on, then off when you think you are done. This is a new way of eating and lifestyle. Use resources such as the books I mentioned about, plus think about Paleo cookbooks, my favorite being “Practical Paleo” by Diane Sanfilippo. Need more help? consider seeing a Functional Medicine doctor, who can guide you through any kind of lab testing, a Paleo type diet and any targeted supplements for healing. about 4 days, I really need a change, lose some weight and start feeling better. I’ve got my paleo cookbook (my fav paleo cookbook) which I love (only about 13 bux) and have been using it every day so far but how long before I can expect to see a change in weight and just general felling good? Hi, and thanks for reading! The longer you “do” a Paleo way of eating the more benefits you will see. It can be different for everyone, but monitor your progress in weeks, like see how you feel after 3 weeks, then 6 weeks, etc. Weight loss is an obvious result but also start to see if you feel better, sleep better, have fewer allergies, for example. Also notice if you are losing inches around your waist too. Give it time, and be kind to yourself, you are doing a great thing for your health!